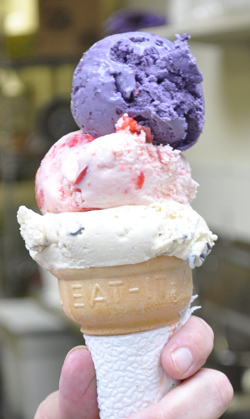 Our fresh, rich, homemade ice cream is just the right treat for any day of the year! We only use the best milk and cream from local dairies to give our ice cream a wonderfully creamy taste. Our ice cream is sweetened with real cane sugar – no high fructose corn syrup here! Unlike commercial brands that use 13% butter fat, our ice cream contains 18% butter fat which is what gives it that thick, velvety texture. And of course, our products contain no added chemicals or preservatives. We currently offer 37 flavors and keep 12-14 flavors on hand at our shop. We use only local fresh fruits in our recipes – no frozen or imported fruit and no artificial extracts. 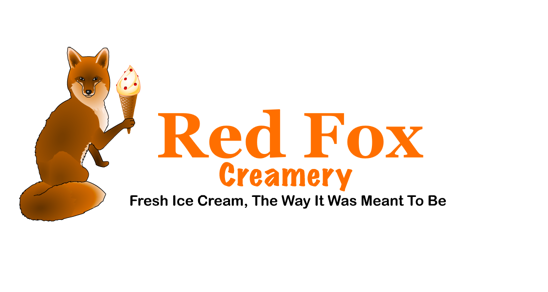 And, unlike other ice cream producers, we can create custom flavors for your organization, business or restaurant. Just ask us!